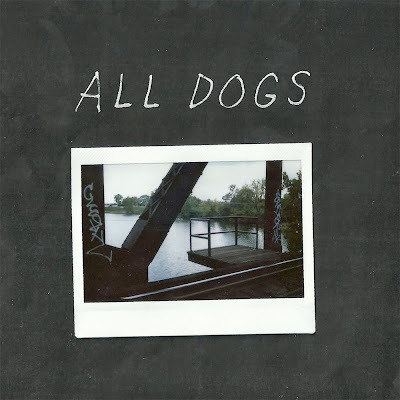 All Dogs are back with their self-titled 7" and it will sing to your inner teen. If I had to pick one label right now that has consistently tugged at my heartstrings it would be Salinas Records. With Radiator Hospital, Swearin, P.S. Eliot, and now Ohio's twee-punks All Dogs under their belt, I'm sure I'm not the only one that feels this way. We wrote about All Dogs' split with Slouch over the summer; it's the kind of thing that you obsessively listen to until you can't anymore. Except I'm still listening to it along with their debut 7" that came out this month. All Dogs' 7" feels to me like the sequel to their split: nostalgic, angsty, but never overdramatic. The 4-track begins with the line "I want to go back to the days we were wild" and that might be the best way to sum up these songs as a whole. They give me intense deja vu, making me think I've been here before as I try to match it to a memory buried in the moody teen section of my psyche. It's certainly hard to choose just one but "Basement" is my favorite of the bunch. "Is it over now?" guitarist and singer Maryn Jones asks repeatedly while catchy guitar riffs bounce off of playful drumbeats. This track, like all the rest, bring us back to high school as we'd like to remember it. Listen to more All Dogs on bandcamp.